A senior paramedic who faked emergency calls to help his control room lover meet her targets has been suspended for 12 months. He also told her: ‘I will do anything to help your statistics. I will do anything for you. I love you, I love you. Surplice, a spokesman for the South Central Ambulance Service NHS Trust, drove his ambulance to see his lover at her home and disabled the tracking device. The Health Professions Council heard Surplice’s lover was a control room manager who had to meet a daily target of attending 75 per cent of urgent calls within eight minutes. 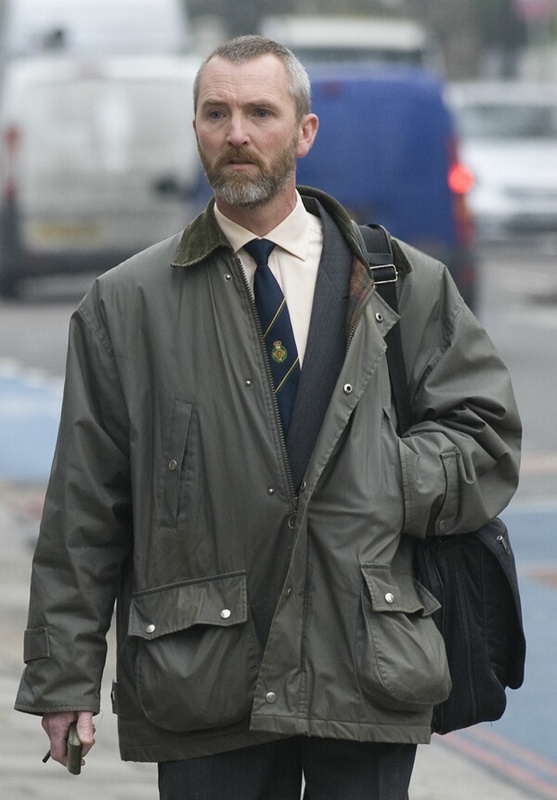 Surplice made six fake running calls when he was at a wedding and on a fishing trip – but staff were alerted because of the lack of documentation. The calls were recorded because they were on a mobile phone paid for by the ambulance service. Surplice was a voluntary first aider at the angling event in Warnford, Hants, when he made fake calls including a patient suffering a head injury and a man having a fit. His lover, who was referred to in the hearing as ‘Miss X’ told him on the mobile: ‘You are good at generating rubbish jobs. One of the couple was also heard to say ‘There’s no point in having a system if you can’t cheat it’. Surplice made the other fake calls when he was at a wedding reception at Portsmouth Naval Base. He recorded incidents with two people who had drunk too much and an emergency with an asthmatic girl. Investigator John Radburn (corr) who listened in on the couple’s calls said: ‘The first few seconds were often of business nature, but after that sometime it got a bit heated or a bit lovey-dovey. ‘We looked in detail at the bill for Mr Surplice’s personal mobile, which is supplied by the trust, and we looked at a bill of £109.43. ‘Typically average user costs during that same time for 225 users was £12.94. The paramedic was found guilty of ‘gross misconduct’ at an internal disciplinary meeting but was not sacked. He was demoted from his role as Operation Supervisor to paramedic. The HPC panel found Surplice guilty of making up six incidents to help his lover to meet targets and disabling the ambulance tracker device to visit his lover. He was also found to have visited the woman’s home while on duty for ‘personal reasons’ and not to complete paperwork, as he had claimed. Surplice had accepted that he made inappropriate explicit telephone calls to his lover whilst on duty. The paramedic was cleared of arranging a ‘very slow and moving’ air ambulance fly-past at a colleague’s funeral at St Peters Church in Bishop’s Waltham, Hants. HPC panel chairman Colin Allies said: ‘Whilst the registrant offered to facilitate the fly over, there was no direct participation. The hearing was told the married paramedic had two children aged five and seven and was the sole earner in the family, which had already suffered financial hardship from his demotion. Surplice was handed a year long suspension order to protect the public and ‘mark the seriousness of the misconduct’. Mr Allies the panel had found Surplice committed serious failings and action had to be taken.